As the saying goes, a little goes a long way. It’s true with hair spray, and it’s true with horses. A little preparation and a little goal setting will help you get further ahead and make the most out of each ride. A little thought and preparation before you get in the saddle will help put you in the frame of mind to accomplish something. Preparing yourself mentally before a ride is really important. Let go of the outside stress and pressure of the world before you put your foot in the stirrup. If not, you will probably take it out on your horse. If you’ve had a bad day and you go tromping out to the barn with an aggressive attitude, you are going to pay for it in your ride. Set a small goal for each ride. Don’t go out there and try to accomplish seven different things in one ride. My goal is always to teach one new thing, review something I have recently taught and master something I’ve been working on consistently. This is the best way to build upon your horse’s training. One brick at a time. When you are teaching something new, keep it short and sweet. 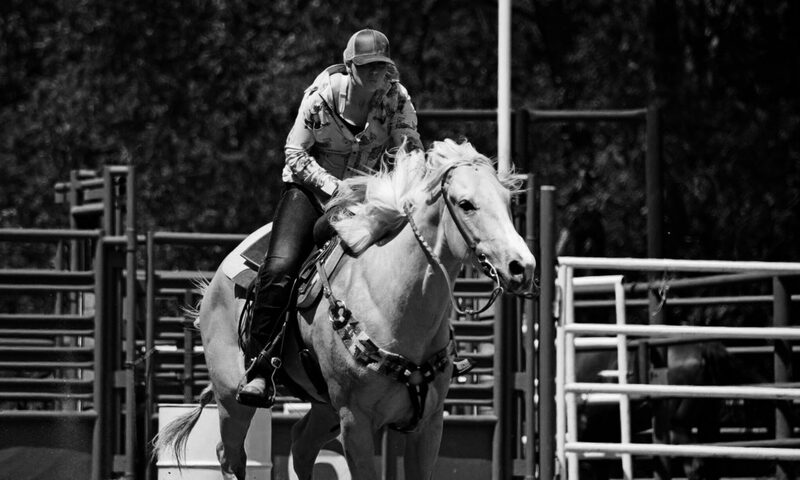 Don’t make the cardinal mistake of asking your horse for more and more when they get it right. Quit while you are ahead, and then pick up where you left off the next day. You’ll be surprised how quickly they learn something this way. Today was my day off from training customer horses, but I still jumped on my gelding for a short ride. I didn’t have a ton of time to spend with him so I definitely wanted to make the best of it. I did a couple simple things to get him working off his hind end better, then loped him for a couple miles down some dirt trails. I will explain why I do this in some upcoming posts! If you go into your ride mindlessly, chances are you will just go through the motions and you won’t get a whole lot accomplished. Set some lofty goals, then break it down into achieveable, daily goals that you can continue to chip away at. An amazing first entry. I can’t wait to read more!